Our freshly renovated Malvern hotel guest rooms and suites have colonial-meets-contemporary style and all the modern amenities you need. For your comfort, all accommodations are 100% Non-Smoking. 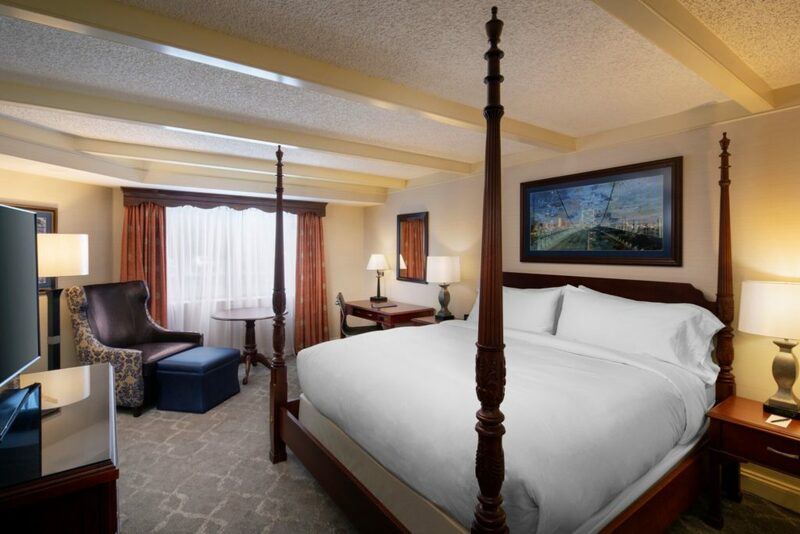 Feel at home in a guest room with DoubleTree Sweet Dreams beds with triple sheeting, complimentary WiFi, satellite TV, a mini-fridge, ergonomic workspace, and plenty of outlets to charge your devices. Some rooms have balconies, and our suites offer a separate living area, larger bathroom, second TV, and cozy extras like bathrobes and slippers.